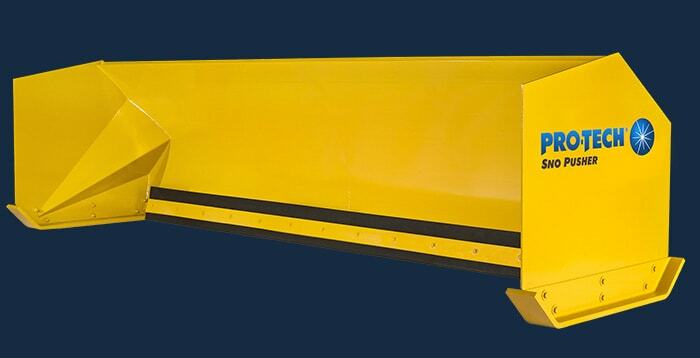 Steel edge containment plows might be growing in popularity, but the rubber edge still reigns. 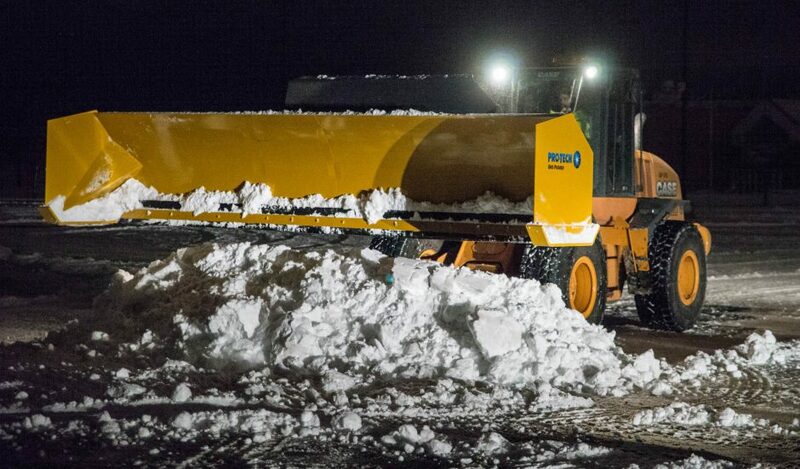 Ease of use – It’s no surprise that owners of snow and ice management companies continue struggling to find skilled operators. This issue is so common that it often tops the list of biggest hurdles companies in the industry face. 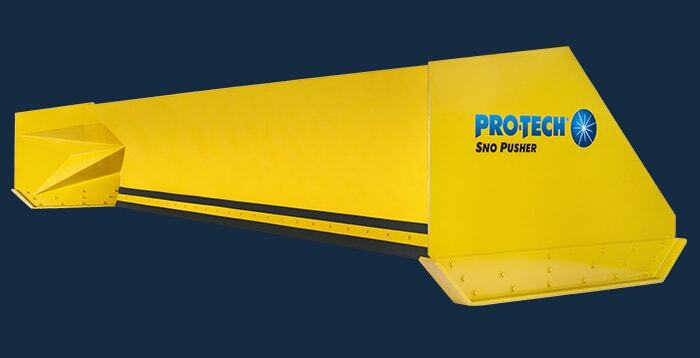 Most rubber edge snow pushers are simple and easy to use and in the case of Pro-Tech’s Sno Pushers, extremely durable. These attributes make it easier for operators of any skill level to effectively plow snow during a winter event. Surface type – Whether gravel, brick, concrete, or asphalt, rubber edge containment plows fair significantly better than steel edge plows when factoring in the potential for surface damage. Depending on the operator steel edge containment plows can scalp asphalt crowns and reallocate stones on gravel properties whereas the hard but pliable rubber edge does not. 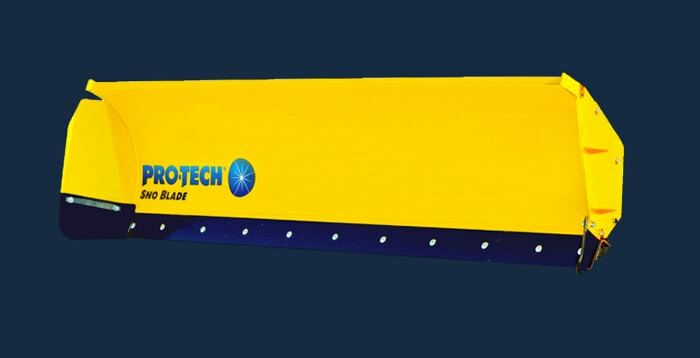 Surface outcome – While hardpack snow and ice is an exception, a rubber edge snow pusher in most cases can provide similar surface outcomes as a steel edge model. In addition the surface outcome is significantly better than steel edge models when clearing wet heavy snow. 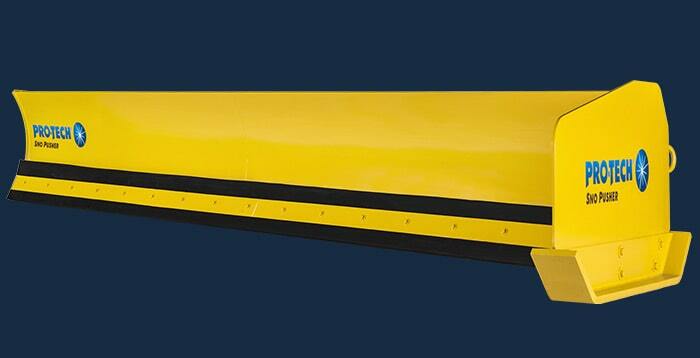 Lower cost of ownership – In most cases steel edge containment plows retail at significantly higher price points than rubber edge snow pushers. 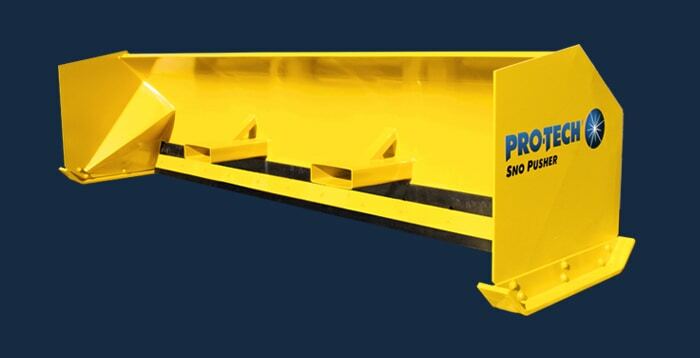 This increased cost is not only felt in the initial purchase but also over the life of the snow plow as steel edge snow pushers often have more complicated parts and hydraulics to maintain. 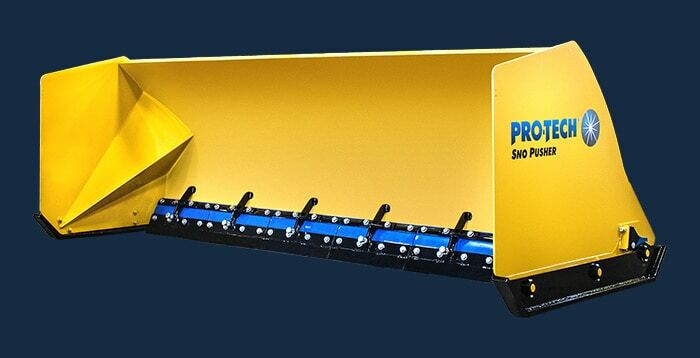 Even the most durable steel edge snow pushers with minimal design such as Pro-Tech’s Steel Edge Sno Pusher can cost customers more money in maintenance than rubber edge plows. 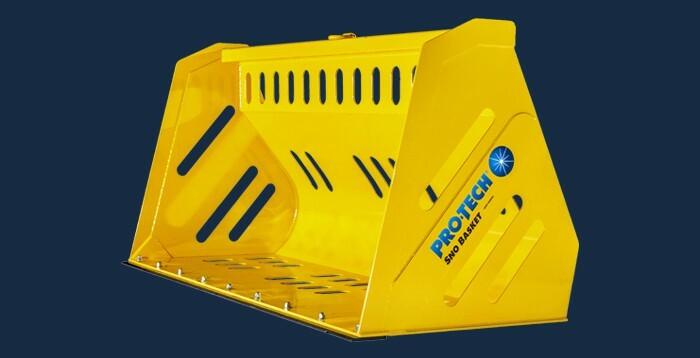 Reliability –During a winter event, snow and ice professionals need equipment they can rely on to clear their properties. The more components a piece of equipment has, the greater the chances that something will break at the most inopportune time. 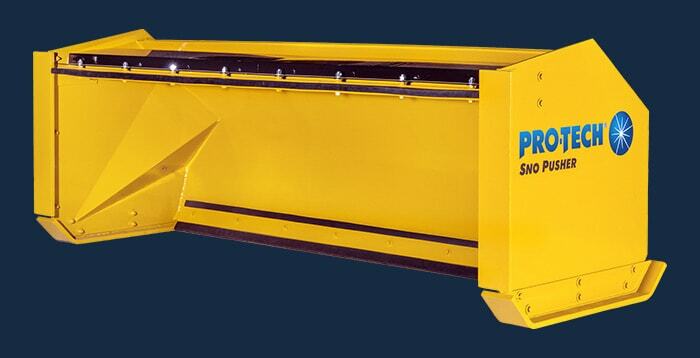 Steel edge snow pushers often have hydraulics, complicated edge and trip systems, pivoting wear shoes, compared to rubber edge containment plows, which have minimal moving parts. There’s simply very little that can go wrong with it in the middle of a storm. 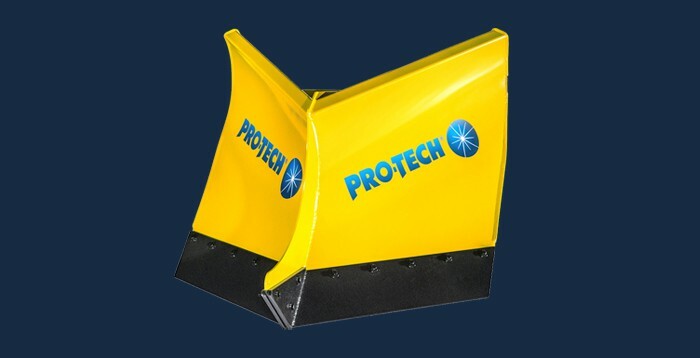 Warranty – It’s nearly impossible to find a plow manufacturer that offers the same warranty terms as Pro-Tech (10 years on both rubber and steel edge plows). 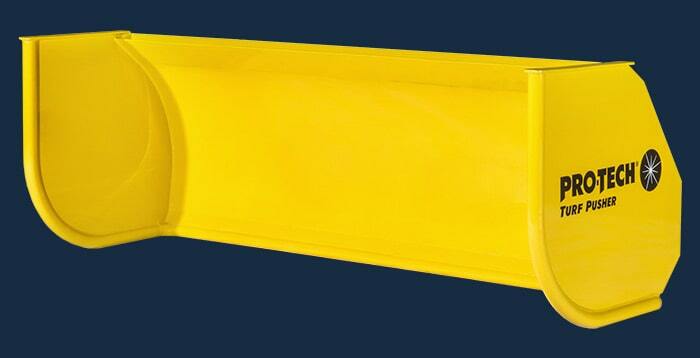 However, most manufactures do offer longer warranties on their rubber edge models than steel edge. Pro-Tech Value – This list is only supposed to have six reasons but of course we are going to take a moment to speak about Pro-Tech value. 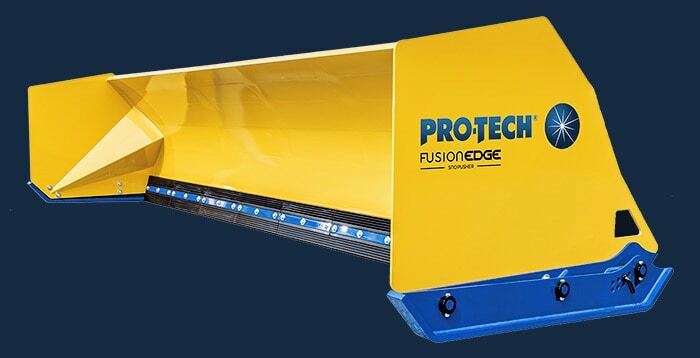 Whether you choose rubber or steel edge snow pushers it’s important to purchase from a manufacturer you trust and that has a reputation of offering quality products and superior customer service. 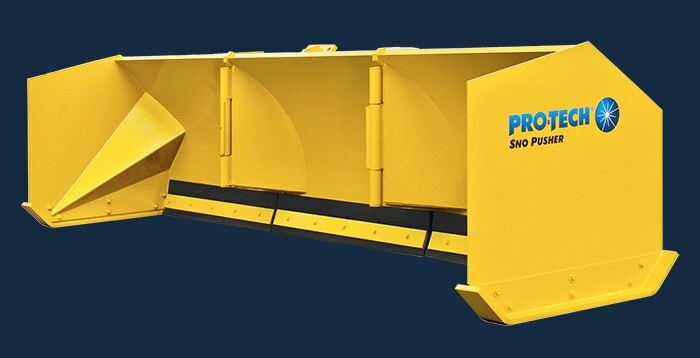 We have our customers to thank for making our Rubber Edge Sno Pusher the most widely used containment plow in North America for over 20 years. If you are not a Pro-Tech customer we hope to earn your business.